Avendus Capital advises Saavn on its USD 100 million fund raise led by Tiger Global. Saavn, India’s largest music streaming company, announced it is closing $100 million in a pivotal new funding round led by Tiger Global Management. The fresh capital will be used to drive long-term product development and aggressive customer acquisition. In addition, the company is investing in its proprietary ad technology, growing the sales force, and inking new content deals. As India becomes the leading market for Android handset growth, Saavn is leading music app installs and growing monthly active users by over 1MM users a month. Since announcing 11MM monthly active users in Q1 2015, the company has increased its monthly active user base to 14MM users. Saavn is positioned to cross 20MM users by the end of the year. The company has just released a major update to its Android product, with an iOS update to follow in the coming weeks. The company is also working with teams at Microsoft to launch Saavn on Windows in August 2015. Avendus Capital was a financial advisor to the transaction. In addition to Tiger Global Management, existing investors Bertelsmann India Investments, Steadview Capital, Liberty Media, and Mousse Partners are participating in Saavn’s Series C round. The company is also adding new global investors Quilvest, additional Hong Kong-based hedge funds, and a number of strategic individuals in this round. “Music streaming is at the centre of the music industry, and India is one of the most important music economies in the world. With 2 million Androids shipping each week, music is driving data consumption and redefining mobile advertising. We are building the best-in-class mobile entertainment ecosystem, with music as the foundation. Our investors continue to be the best partners in the world. We’re excited to add millions of users to the Saavn family and deliver our long-term product vision across multiple platforms. Music is only the beginning,” Rishi Malhotra, CEO & Co-Founder of Saavn, said. 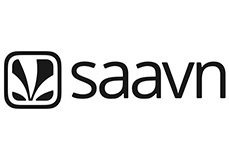 “Saavn continues to innovate consumer products designed for India’s growing mobile user base. The team has built a leadership position in a unique marketplace while at the same time developing a world-class music service. We’re excited to support Saavn as it continues to define India’s mobile entertainment market,” Lee Fixel, Partner at Tiger Global Management, said. “India will be a very large digital entertainment market. We believe Saavn with its strong leadership team and market leading product will continue to be the leader and define the space,” Gaurav Deepak, CoFounder & Managing Director at Avendus Capital, said. Saavn is India's leading digital music service, transforming how people around the world access and experience music on a daily basis. Saavn’s unique combination of Internet radio and on-demand music capabilities, coupled with proprietary social features like music tagging and music chat, deliver one of the richest media experiences available on mobile and Web today. Saavn is currently accessed in more than 150 countries and offers 7 million+ tracks in 11 languages: Hindi, English (India only), Tamil, Telugu, Punjabi, Marathi, Gujarati, Bengali, Kannada, Malayalam, and Bhojpuri. The company has 900+ label partnerships and growing, including TSeries, Tips, YRF, Saregama, Eros, Universal, Sony, and Warner Music. The company's award-winning iOS and Android mobile products include phonetic search, dynamic bit-rate streaming, global native ad-serving, and industry-leading design. With Saavn Pro, users can listen to music ad-free and offline. And through partnerships with Apple, Google, Facebook, Twitter, and Shazam, Saavn reaches more music fans than any other South Asian music service. In early 2015, Saavn partnered with the global non-profit Akshaya Patra to launch #MusicForMeals, a streaming-powered initiative to provide midday meals for school-going children in India. Saavn was founded in 2007, and has offices in Mumbai, New Delhi, Bangalore, New York, and California. Avendus Capital, Inc. (US) and Avendus Capital (UK) Pvt. Ltd. located in New York and London respectively are wholly owned subsidiaries offering M&A and Private Equity syndication services to clients in the respective regions. Avendus Capital, Inc. (US) also provides wealth management services to clients in select jurisdictions in USA.